The Chairman of the Democratic Party of Albania, Lulzim Basha, in a conversation with journalists on 28 February focusing on recent economic development stressed that the main danger for the future of the Albanian economy relates to its criminalization and its capture from drug and crime money. A major example of this comes from the construction sector, which has now become pivotal for money laundering investments. The number of construction permits for residential residences in one year (2017 – Albania) has increased by 88.3%, although construction loans have remained at the same level compared to 2016. The Municipality of Tirana has become a central point for money laundering and crime with 118% increase. Similarly, Public Private Partnerships (PPP) represent currently the most advanced example of how the national economy has been criminalized and how money laundering is implemented. In particular, the $ 1 billion project and the incinerator concessions are a stark example of how crime and drug money is mixed with the Albanian taxpayer’s money. It is in this context that official data on employment appear to have been forged. Employment growth, occurred during the third quarter of 2017, relates mainly to people over the age of 64, which is impossible considering Albania’s structural composition. Agriculture is a case in point with 17.000 employees less than a year ago, but with INSTAT declaring it is growing. The country needs large economic and political transformations, which can only come through concrete legal acts liberating the economy from monopolies and oligarchs. “We are addressing today a situation that is a national emergency. It concerns the state of the economy, the fact that we are in front of an economic catastrophe that , if it’s not avoided, will have consequences for decades. 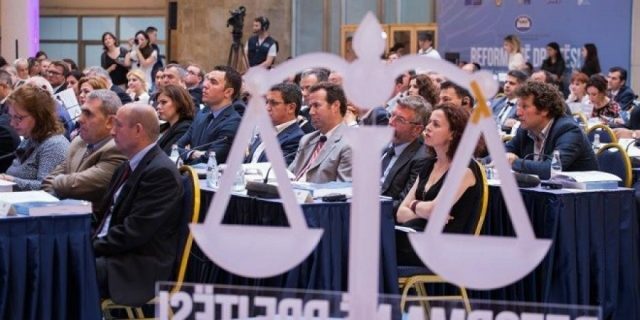 The main danger is the criminalization and the capture of the national economy by drug and crime money, the risks it carries for today’s and future Albanian economy. As an example, the chronicle of the day, 613 kg of cocaine are caught in Durres, a record amount, seized thanks to foreign anti-drug and law enforcement agencies. This, three days after the Italian Anti-Mafia Prosecutor declared in Tirana, that the Albanian mafia has links to politics and has invaded police forces. Police stated that the seized amount is worth 180 million euros. A single transfer of 180 million euros. I have personally denounced, and we as DP have done so tens of times in the parliament, in the media and everywhere : the cannabis era is now enriched with heroin, cocaine and dirty money laundering. It is from here that comes the existential danger for society, because, as the Italian prosecutor declared, now the criminality risk has shifted towards politics and economy. This warning of the Democratic Party dates back to five years ago. This is not just a political cause of the opposition, it’s a civic one. We have denounced it, journalists have denounced it, brave analysts and intellectuals, members of the society elite. Nevertheless, we did not stop it, instead it has transformed. First, it has been transformed into our economy. Through the graphs and explanations of one of the most prominent statistics experts in the Balkans, Ms. Ines Nurja, we will show you how the Albanian economy is in the brink of a catastrophe, and how crime and drugs with government support, are pushing the country towards an economic and social catastrophe. Let’s start with the first issue: the kidnapping of the national economy through drug money. There is no other sector where this is more obvious than the construction sector in Albania and in particular in Tirana. A building boom funded by what? The number of construction permits for residential residences in one year in Albania has increased by 88.3%. 2017, is the record year of construction permits in the Municipality of Tirana with an increase of 118%. While, 2016 is the record year for drug production. We have a drastic increase of building permit over three floors. Therefore, it is not about roof repairs or small private home construction. The number of buildings over three floors has increased 200%. While the monetary value according to INSTAT data has increased by 260%. Meanwhile, the percentage of construction loans is the same with one year ago. 200% increase in building permits, 260% increase in monetary value, but all this by using no additional money, as one would imagine, but with almost the same amount of money. The percentage of lending for construction as compared to the total lending during 2016 in the country was 14.4%, it has reached only 15% in 2017. What money is funding these extra constructions? Who is paying these towers, the buildings in Tirana, which make up over 80% of the volume of the new construction permits – the rest being in Fier, Durrës and some other big urban centers, but the lion’s share is the Municipality of Tirana. Let’s openly say that the Municipality of Tirana has become the center of the drug and crime money laundring. And this is illustrated by the construction boom and in particular of the tall buildings in Tirana, which have no rational economic, have no meaning in terms of housing.Despite statistical manipulations, it is well known that Tirana has a large stock of unsold apartments, and this boom is only related to crime money. The second aspect of the national economy kidnapping, from crime and crime money relates to PPPs: Private Public Partnerships. The $ 1 billion project promulgated by Edi Rama and vehemently denounced by the DP as a money laundering scheme. This is particularly apparent in such sectors as the urban waste where a sole private investor is investing in large incinerators around the country, while in fact the investment is being paid by citizen’s taxes. This is an new deeper form of the criminalization of the economy. Why? If new buildings are being made only with crime and drug money, in the PPPs case we have a mixture between crime and drug money with the taxes of Albanians. 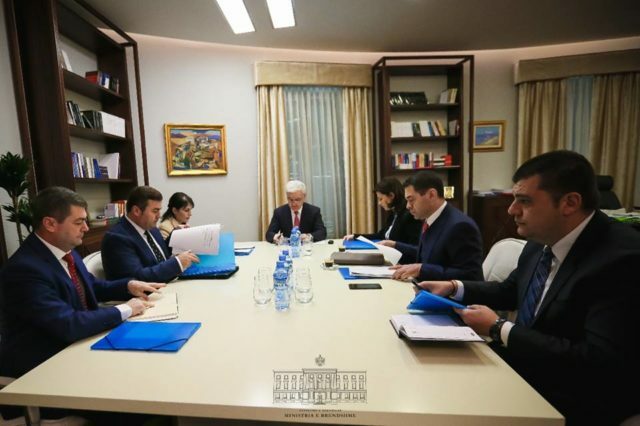 This is happening through the concentration of the decision-making power and of the related projects only in few hands, the concessions, the tenders all are being awarded to few hands, who are commonly known as oligarchs. But criminal economic concentration isn’t happening only though concessions or in the construction sector, it is happening in the financial sector as well. We have a recently established offshore bank called Abi Bank, which has bought the NBG bank, in the course of few months. These are the features of a captured economy from criminal interests, crime and drug money. The construction sector has boomed, but this does not come either from public funds investments or from lending by banks. Where did this money come from? Agriculture has grown, but there are 17.000 people less employed in it. So, the number of employees decreases, however, the sector continues to grow. Something does not sum up. We are talking about a sector that has felt the competition from drug cultivation and trade. Not to mention its effects on the population. As it will be explained in details by Ms. Ines Nurja later on, the claim that employment has increased is based on the falsification of official data, which constitutes a criminal offense in In order to reach the figure the government has set, INSTAT has calculated that between 10.000 and 15.000 individuals over the age of 64, have been employed during 2017. The highest employment rate is over 64 years of age. Is there a rational explanation how employment in the third quarter of last year 2017 has increased only for the category of over 64? Neither the science of economics, nor our assessment of the situation, can’t identify the exact reason only 64-year-old people are being employed. On the contrary, the main complaints are from people over 45-50 years old that cannot find work, but INSTAT has stated that most of those newly employed are over 64 years of age. And finally the social effects consisting of two aspects. INSTAT admits that Albanian families have reduced their food expenditures. This demonstrates the poverty depth Albania is facing today, while families are being forced to increase educational spending on university tariffs following the recent state increase and additional public educational costs. This has led to a 90% increase of the inequality gap among the population over a year, which is remaining at ground level or is absorbed into poverty. And it’s within this context, that the government decides to drop another 20,000 families from economic aid without any explanation. The only priority of this Government was to make Albania a free crime zone. During 2016, the country was planted with cannabis, in 2017 cannabis money was used to destroy the political electoral process.  Similarly in 2017 by using the cannabis infrastructure and money, they have thought to transform themselves into heroin and cocaine trafficking, and the capture of key sectors of the economy, priority sectors, like building, tourism, waste management. Despite the fact that these are fueled by drug money, they are damaging and destroying today’s and tomorrow’s economic perspective of Albania. Two examples. These new constructions are nothing else but a drug pyramid. What role will they have in the economy tomorrow? How will they contribute into creating new jobs? They cannot because their only role is to cleanse millions of euros from drugs trafficking. PPPs are in fact hidden debts, made to clean drug money. These are signed to abuse and steal taxpayers’ money such as with waste incinerators. Concessions and PPPs are a hidden way to increase debt. I have presented this problem, I have denounced it to the IMF, which has made its first reaction. I look forward to them and other strong institutions in this regard, especially those who are the guardians of the public debt level. Albania’s public debt is growing dramatically and secretly from PPPs and from corrupt concessions. Debt accounted for 62% in 2013. Let’s consider for a moment the figure granted by the Ministry of Finance of today’s debt at 69.9%, ie almost 70%. Five years after Edi Rama’s arrival, the debt not only has not decreased, but has grown. It has grown while debt interests have fallen. Until 2013, the debt interest rates for Albania, but not only for Albania, have been almost the double today’s interests. So the first is that the debt has not fallen but has grown. Compared to 2013, Albania has today a greater debt. Why? Did he build any major infrastructural work? Has the pension increased? Did he make the healthcare system free? Of course, you know very well that the answer to these three questions, and to many other, is NO. This money has been taken over for corrupted and abusive schemes, which is also the main reason why Albania is ranked today as the most corrupt country in the Balkans, and among the world’s most corrupted. I conclude with a statement and deep conviction. All of this reflects that, on the one hand, the Albanian economy is on the brink of a catastrophe that, if it’s not avoided today, it will have a devastating effect for thousands and thousands of other jobs, and the growth of the social wound that will further lead to rising immigration. But on the other hand, this is a call to all stakeholders, and social factors. Beyond the immediate political interest of the opposition, and in front of this government or this gang, you can call it as it suits you best. We need a profound economic transformation. We need a profound economic transformation and change, which can only come through the liberation of markets, the fight against monopolies, the fight against oligarchs and oligopolies, and when I say fight, I am talking about strong legal measures and their implementation to all sectors. The integration of our economy that today is totally disconnected from the region, not only from Europe, the improvement of the technology which has been stalling for more than half a decade and the absorption of foreign investments. It goes without saying, that all this is necessary for the transformation of our national economy, and that it can’t be done without a profound political transformation”. 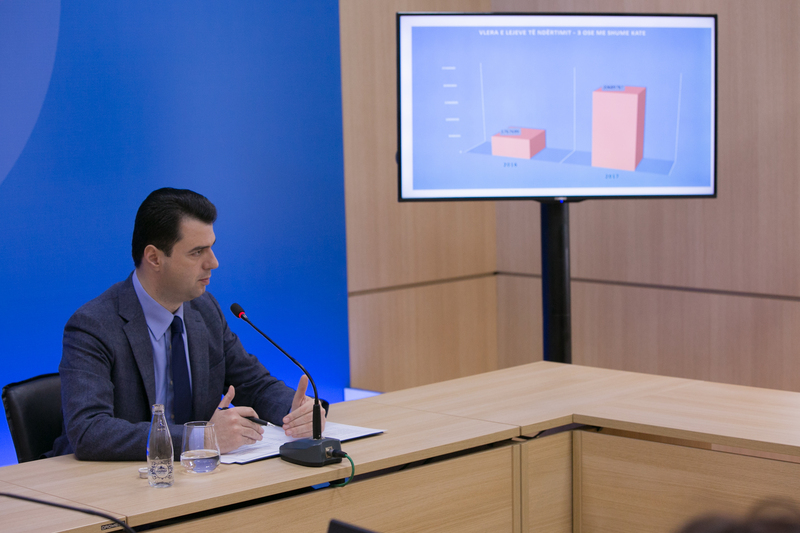 “I will concentrate on some data that are key points about the Albanian economy. I will start with farming. Agriculture is one of the sectors that has always provided the main part of the national production, about 20%. In recent years, agriculture has shown minimal growth values, and in some cases there were also negative values. But what is striking is that in the last three months, there is a drastic reduction in the number of employees in agriculture, about 17.000 people while agriculture employs more than half of the workforce existing in Albania, and that the national economic growth is 0.52%. Normally these figures go together, which means economic growth is reflected in the increase in the number of employees. But what happened for the first time, is a drastic drop in the number of employees and a minimum economic growth. Another chart shows the industry sector with an employment increase of 1.970 Practically, farming and industry are two key areas that generate growth and employment here is either negative or reflecting a minimal growth. It shows that Albania no longer produces and the decline in employment reflects this the best. Another important indicator is the retail trade. 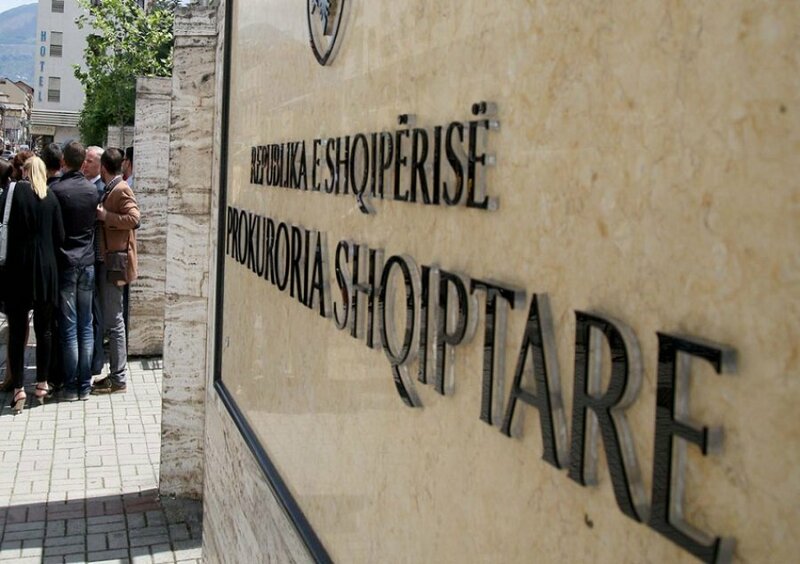 In fact, we all know that retail trade reflects directly the consumption of Albanian households, and if we look at the data, it appears that it has been lowering and has reached the lowest value in years, with 1.1 % increase in the third quarter. This says that Albanian households no longer consume, because this has direct links with the expenditures of Albanian families. Employment – this has something to do also with the large number of departures of Albanians from the country. The analysed data is divided into two groups. 15-29 years old who should represent more employed individuals those over 64 years old. If compared, the employees aged 15-29 have dropped by 1.100 individuals. While the number of employees over 64 has grown around with appx. 8000 individuals. This has an important effect and reflects not only present trends but also important worrisome future trends for the country. The percentage of people who have left Albania, according to Eurostat, and who are registered and have applied for asylum, 80% of these are up to the age of 34. Albania is under the threat of aging population, which is a phenomenon that is seen in other countries but is knocking rapidly with very negative effects for our economy. Another interesting indicator is inequality. Data show that only 10% of households have a revenue increase of 20,000ALL per month in one year, while 90% of households have an increase of approximately 3.000ALL roughly. This shows that only the richest Albanian households have faced an increase, while 90% of households have remained at the same level as a result of the rising living costs.